A new mixed-team golf event is to feature in the 2018 European Sports Championships, which Glasgow will co-host with Berlin. 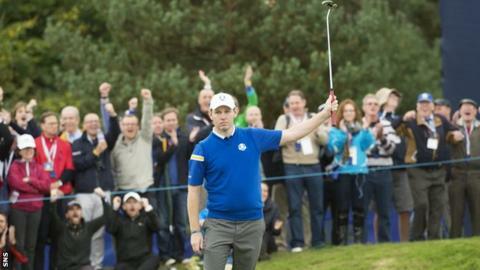 The plan is for Gleneagles to stage the event on the course that hosted the Ryder Cup last year. It would bring the men's and women's game together in a new format. The European Sports Championships was awarded to Glasgow and Berlin last month and will take place every four years. Just under 3,000 athletes are expected to take part in events in Glasgow, which is hosting cycling, rowing, swimming and triathlon. A further 1,500 will compete at the European Athletics Championships in Germany at the iconic Olympic Stadium.